If you want to upgrade your kitchen with a new distinctive and rich look, the new black stainless steel appliances that are offered by LG and a few other appliance manufacturers might fit in well with your plans. They can help create a look that will WOW your family and friends. With all the new colors that have come and gone in the appliance industry, black stainless steel has the strongest commitment from the manufacturers and will probably give traditional stainless steel a run for its money in the future. It is also offered by KitchenAid, Samsung, Frigidaire, GE, Whirlpool, and Bosch. The colors are slightly different from one brand to the next as is the manufacturing process. 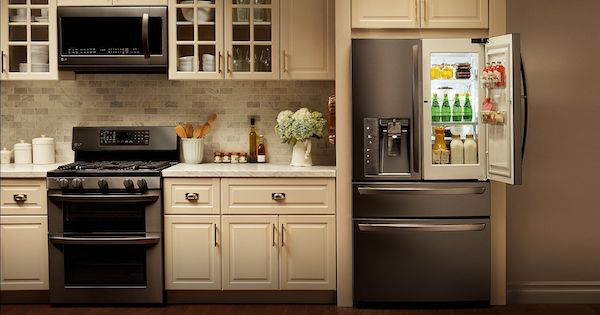 In this article we’ll take a close look at LG’s black stainless steel appliance models to help you decide if they might be right for you. LG is one of the most innovative appliance manufacturers and they introduced black stainless into their line in late 2015 and early 2016. They now offer a complete suite of kitchen appliances from French door refrigerators to wall ovens and dishwashers in this new exciting color. They also offer laundry products in black stainless steel. LG starts with real stainless steel and applies a coating to it in order to attain their rich black stainless steel finish, then a final protective coating is added. It is resistant to fingerprints and smudges and it gives a warmer and softer look to the appliances. LG’s handles also have the black stainless steel finish, matching the appliance. Their black stainless steel finish is slightly lighter in color than that of other manufacturers but it is a beautiful finish and would look striking in any kitchen. 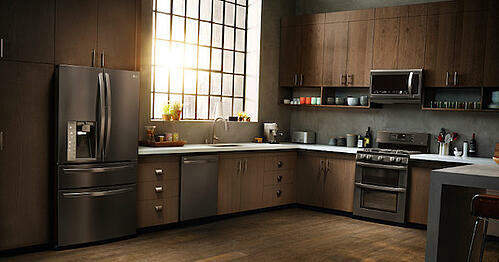 LG's black stainless steel appliances create a whole new look for the kitchen that is soft, elegant and different. They are exceptionally beautiful products and a great alternative to regular stainless or black appliances. Once you see them you will probably fall in love with the look. Black stainless steel has a long way to go to catch up with the popularity of traditional stainless steel, but it is on its way as more products are being introduced in the color and more customers are seeing it on display in stores and in the homes of their friends and family members. There is no way to be sure but, in my opinion, black stainless steel is here to stay.